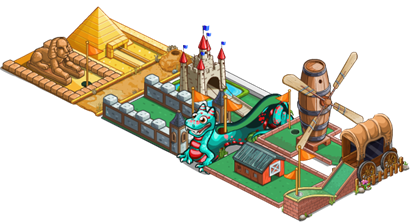 Notes: The Mini Golf Course is created by combining all the other course parts. Freezing Pumps are a Free Gift. All building details are HERE.